MOSCOW -- Renault, Kia and Ford were big winners in Russia in January after the new-car market grew by 31 percent in the biggest monthly increase since 2011. 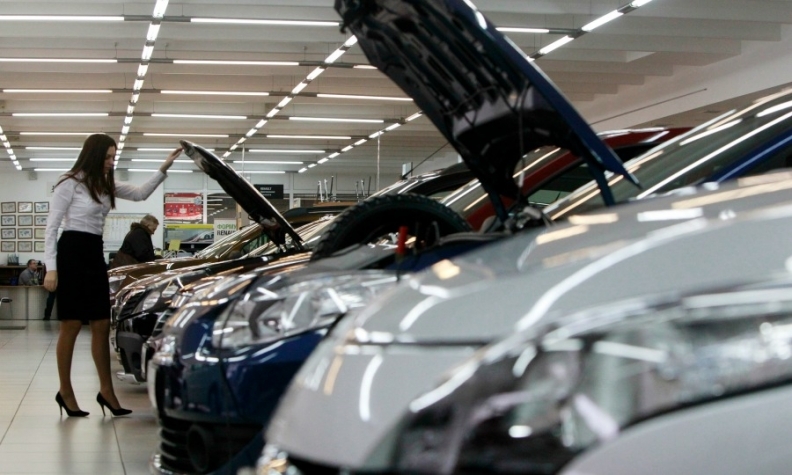 January sales rose to 102,464 vehicles, the Association of European Businesses (AEB) lobby group said in a statement. Russia's once-booming car industry was one of the most high-profile victims of the country's economic downturn but returned to growth last year as the economy began to recover. "Positive sales momentum can be expected to continue in the short term, although likely at a somewhat dampened pace," said Joerg Schreiber, chairman of the AEB Automobile Manufacturers Committee. Russian sales rose by 12 percent to 1.6 million units in 2017, still around half of the almost 3 million reached in 2012 before the market downturn. • Download PDF here for January Russia sales by automaker, brand and model. Sales at market leader Lada rose 29 percent in January, while volume at Kia, the country's No. 2 brand, increased by 49 percent. Third-placed Hyundai jumped 31 percent. Renault, at No. 4, saw registrations rise 51 percent, while sales at fifth-ranked VW grew 22 percent. Among other key automakers, Ford's volume gained 39 percent, Toyota's registrations were up 34 percent and Nissan's sales rose 27 percent. Among premium automakers, BMW's brand volume jumped 17 percent, ahead of Mercedes-Benz, whose sales rose 2 percent. Lexus sales rose 20 percent. Audi's volume plunged 22 percent. Audi plans to introduce a new sales strategy in Russia, Automobil Produktion reported. The brand's Russian sales have been hit by a lack of new product and an inflexible pricing strategy, the magazine quoted IHS Markit as saying. The AEB declined to give its usual growth forecast for 2018 at an annual meeting in January due to uncertainty about future government subsidies and tax measures.